So it’s a feature that prevents you from accidentally launching a program that may be harmful. 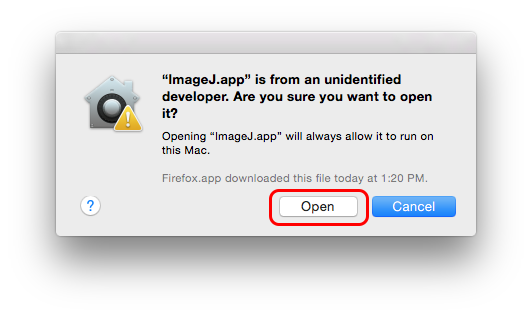 By default Gatekeeper will not let you open apps from the last category: unidentified developers. The fact that a program comes from an unidentified developer doesn’t inherently mean it’s suspicious or unsafe. 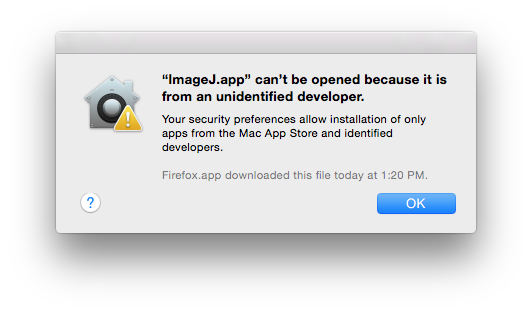 It just means that whoever made it is not registered with Apple so Gatekeeper doesn’t recognize this developer. This usually means that the developer doesn’t want to pay the annual Apple developer registration fee which is common for those who develop free apps. 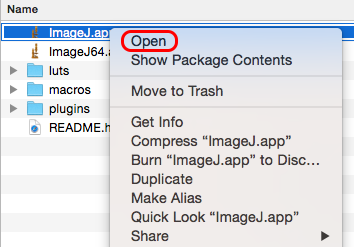 So there are legit apps out there, such as ImageJ, that Gatekeeper will prevent from being launched on your Mac. Gatekeeper will remember your decision and will not bug you about this program again unless the program is updated, replaced or changed in some way. There is a way to change the default Gatekeeper behavior to allow opening of applications from any source but it’s not recommended for apparent safety reasons.